At most of our events, and probably most of yours, alcohol is served. After nearly 29 years in this business, I'm happy to say that I've seen a dramatic reduction in the number of clearly impaired/drunk attendees. Nonetheless, at most every event there is at least one guest who has had too much to drink. ...Fortunately, in many cases that person also has a designated driver, be it a spouse, a partner or a friend. The advent of Uber and Lyft has greatly supported opportunities for guests to get themselves home safely. But as the event host, can and should nonprofits do more? I think so. 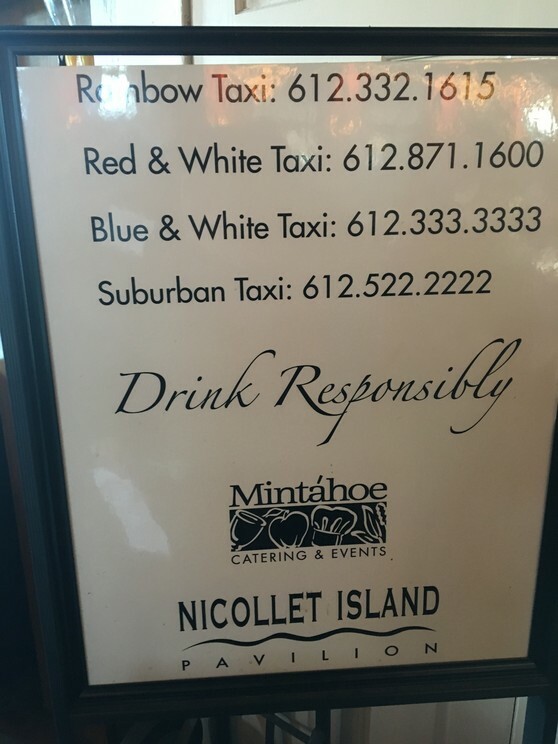 This is a sign from a local event venue that makes such a cab service available to its guests, even as it reminds guests to drink responsibly. It also shows that there are alternatives to Uber or Lyft if the person is less tech savvy and more comfortable taking a taxi. Whether the impaired guest takes advantage of this service or not, having a sign like this clearly demonstrates that your nonprofit took that extra precaution to get your guests home safe and sound. If your venue doesn't have such a sign, why not create and display one yourself? It can only help--where the alternative may do just the opposite at an otherwise stellar event. Better to celebrate your guests all the way home. You're so welcome, Jerri. Drive safe, friend. This is a wonderful reflection about how big your hearts are for the people you work with and for! Thank you for the reminder about drinking and driving.